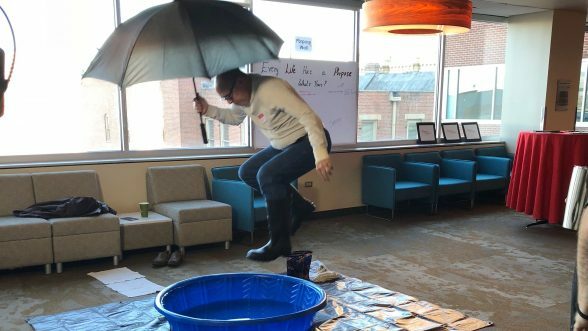 A consulting project on finding joy and purpose in retirement - SageRiver Consulting, Inc.
Each semester a group of CU Denver Business School MBA students are given the rare opportunity to collaborate with a company from Colorado for course credit. Through the business strategy lab, students consult with a company on a strategic issue they’re facing and learn how to conduct research, synthesize their research into strategic recommendations, work with executives while gaining both strategy and consulting experience. The Business Strategy Lab course is taught by Susan Heinzeroth, she’s a CU Denver Business School alumna and owner of SageRiver Consulting, a strategy consulting firm. This semester a group of MBA students were given two challenge statements and conducted research that was presented to one of America’s largest annuity companies, Jackson National Life. What is the business strategy lab? Business strategy lab is a course that helps students gain hands-on experience with strategy, consulting, and client relationship management. Teams design and execute projects based on the strategic challenges they are given from the client. Students work to problem-solve, conduct research, analyze information, and create a deliverable to present at their final client reception. Heinzeroth has been teaching the business strategy lab course for five years. As an active professional who does consulting and strategical work at her own firm, she provides her students with skills and knowledge they need to succeed in their consulting project. Every semester, Heinzeroth invites experts to talk and advise students on strategic thinking and how to conduct research. For example, this semester a senior manager from Accenture, a management consulting company, came in to share his expertise and knowledge on strategical thinking and the consulting process to prepare students for their upcoming research project. Students collected research in various ways including surveys and one-on-one interviews. One event they hosted called Purpose Pathways allowed students to interview pre-retirement participants on their perspectives about on purpose and joy. As the students conducted the interviews, they offered activities such as Jenga, the operation game, and hopscotch. Meanwhile, they would also pull participants aside to ask them about joy and purpose. The goal of this event was to find out whether pre-retirees should start finding their purpose and joy earlier in life. One activity involved jumping into a children’s pool with rain boots. Participants were asked if they remembered the last time they’ve done anything childlike. Several admitted they couldn’t remember. The ‘act your age’ stigma is one stigma many adults fall into, and that isn’t always a good thing. It can hold people back from experiencing the simple joys of life, things like splashing through puddles on a rainy day. “The knowledge and experience gained is really beneficial. 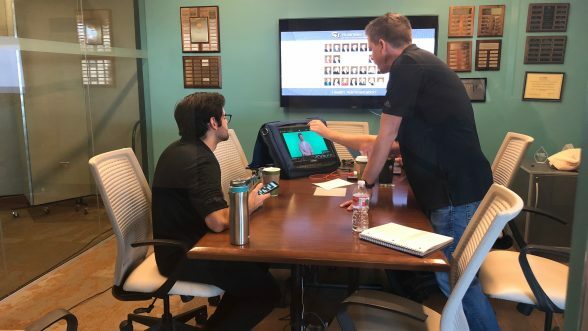 It’s amazing to see the collaboration between Jackson National, the students, and our professor,” shared Austin Garza, a Professional MBA student specializing in business strategy. At the end of the semester, the students gathered their research into a final presentation for the company. The presentation included actionable recommendations that Jackson National Life could integrate and utilize. This isn’t the first time Jackson National has given a project to CU Denver students. The company has implemented several recommendations from past presentations, so they know the valuable insight student consultants can bring. “Experiential learning goes above and beyond the traditional education process. It becomes an expertise that students can take into the work place,” Heinzeroth said. Heinzeroth looks forward to continue teaching the strategy lab course, engaging wholeheartedly with the next-generation-leaders-and-thinkers and doing what she loves the most.